Built by South African construction mogul Oceanco and designed by Australia’s Sam Sorgiovanni, this elite world cruising yacht is actually one of the most luxurious floating mansions on the planet. 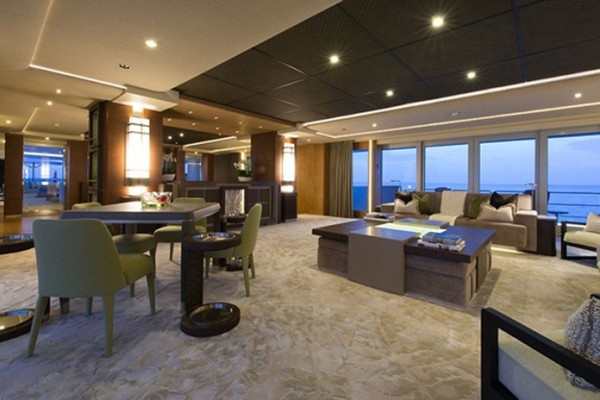 With its six decks, this “sea-city” boasts all kinds of unimaginable luxury amenities. Arriving from the swim platform or the passerele, guests arrive onto the vast aft deck complete with 7.5m counterflow pool and a large sunbed aft. There is also a huge deck for entertaining while forward in the main salon is a bar and an exotic reptile house. Inside you’ll find a state-of-the-art 3D cinema, jacuzzi, gymnasium, and spa facility, as well as twin tender garages with 2 x 11 metre tenders, skiboat and 10 jet ski/waverunners. There is also a helipad for use with a helicopter when the sea gets tired and blue. Nirvana can accommodate up to 12 guests. 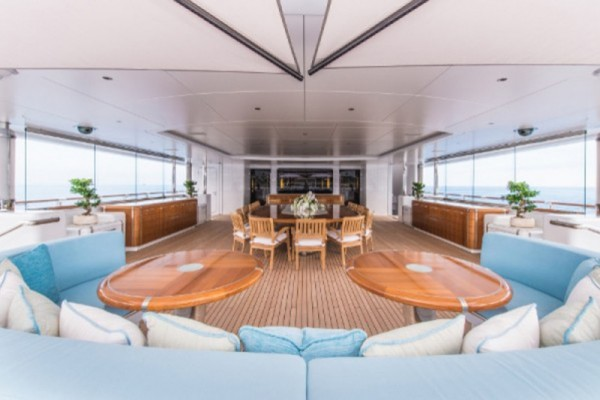 All guests cabins are situated on the main deck, with floor to ceiling windows and as well as the full beam VIP stateroom. The master suite, complete with office, private deck and spa pool, will enjoy panoramic views from the foredeck. Five further VIP cabins will accommodate the other guests, including a larger one with a lounge and his-and-hers bathrooms. 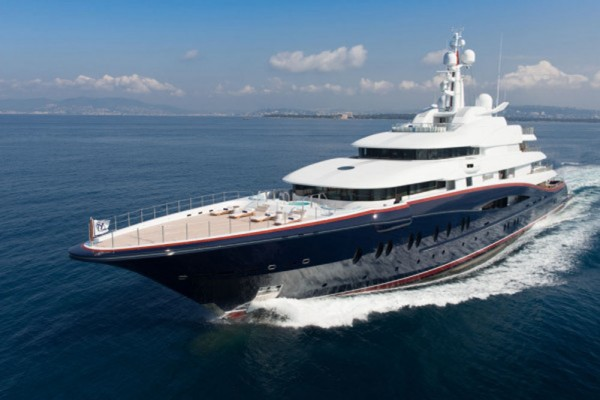 A spokesman for Edmiston, who are marketing the yacht, said: ‘Nirvana is without question one of a handful of elite world cruising yachts around today – and it is certainly the most impressive and opulent yacht currently on sale.